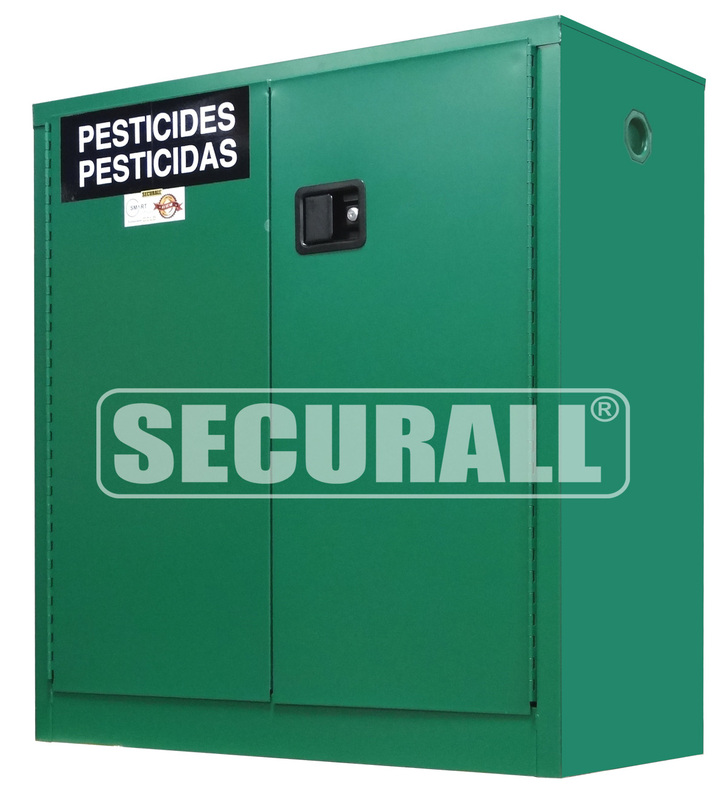 Pesticides are regulated as hazardous waste when disposed. 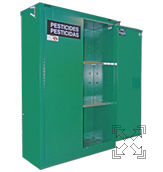 Improper pesticide storage and disposal can be hazardous to human health and the environment. 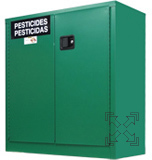 Keep all pesticides in a locked cabinet in a well-ventilated utility area or garden shed. AG105 - Self-Latch Standard Door; Shelves 1; Dimension 35"H x 24"W x 18"D; Approx. Ship. Wt. 138 Lbs. 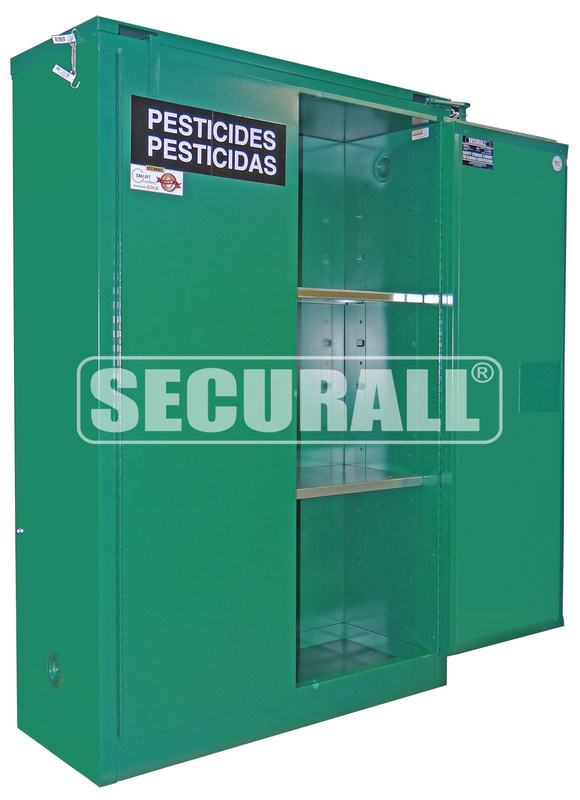 AG305 - Self-Close, Self-Latch Safe-T-Door; Shelves 1; Dimension 37"H x 24"W x 18"D; Approx. Ship. Wt. 154 Lbs. AG130 - Self-Latch Standard Door; Shelves 1; Dimension 44"H x 43"W x 18"D; Approx. Ship. Wt. 247 Lbs. 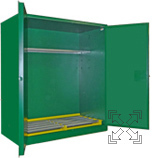 AG330 - Self-Close, Self-Latch Safe-T-Door; Shelves 1; Dimension 46"H x 43"W x 18"D; Approx. Ship. Wt. 267 Lbs. AG145 - Self-Latch Standard Door; Shelves 2; Dimension 65"H x 43"W x 18"D; Approx. Ship. Wt. 337 Lbs. AG345 - Self-Close, Self-Latch Safe-T-Door; Shelves 1; Dimension 67"H x 43"W x 18"D; Approx. Ship. Wt. 357 Lbs. AGV160 - Self-Latch Standard Door; Shelves 1; Dimension 65"H x 31"W x 31"D; Holds 1/55 Gal Drum + 2/5 Gal. Cans; Approx. Ship. Wt. 412 Lbs. 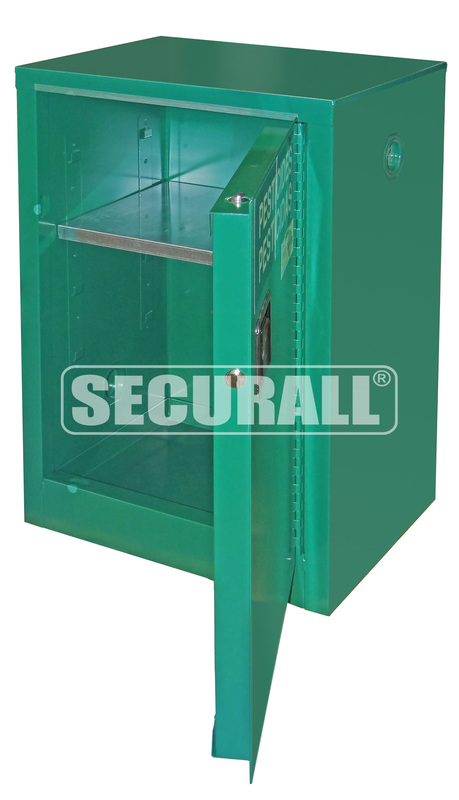 AGV360 - Self-Close, Self-Latch Safe-T-Door; Shelves 1; Dimension 67"H x 31"W x 31"D; Holds 1/55 Gal Drum + 2/5 Gal. Cans; Approx. Ship. Wt. 434 Lbs. 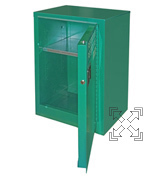 AGV1110 - Self-Latch Standard 2-Door; Shelves 1; Dimension 65"H x 56"W x 31"D; Holds 2/55 Gal Drum + 2/5 Gal. Cans; Approx. Ship. Wt. 618 Lbs. 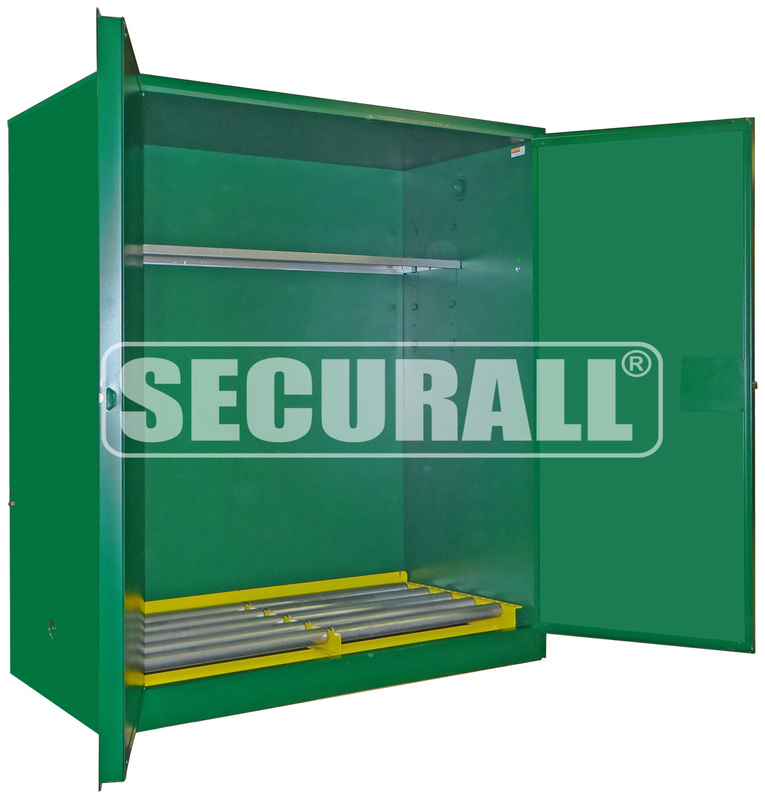 AGV3110 - Self-Close, Self-Latch Safe-T-Door; Shelves 1; Dimension 67"H x 56"W x 31"D; Holds 2/55 Gal Drum + 2/5 Gal. Cans; Approx. Ship. Wt. 638 Lbs.